Volunteering Projects (VP) is part of the Erasmus+ Programme that provides young people aged 17-30 a real life experience with an opportunity to express personal commitment through full-time voluntary activities in a foreign country. The VP framework enables the volunteers to be exposed and involved in an inter-cultural learning experience within a non-formal education environment by developing an individual learner’s plan recognised through a Youthpass form certified Europe-wide. The main themes of the Volunteering projects are "Children's rights" (social/cultural discrimination, gender-based violence, sexual abuse, bullying, missing children, hate speech, migrant women, children in care) implementing activities at the Research and Development Division and "Vulnerable Children" (social inclusion abuse, children on the move, unaccompanied minors, social/cultural inclusion and exclusion, family tracing and reunification, migration and asylum seekers), implementing activities in the Humanitarian Division, more exactly at the Home for Hope shelters. 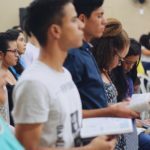 * Empower the volunteers to become local promoters of demanding subjects like social inclusion, solidarity, vulnerable communities, migration, children on the move and unaccompanied minors, gender-based violence, sexual abuse, and bullying, through field and desk research and practical activities. * Promote active citizenship and participation amongst youth and a genuine sense of initiative on a cause they believe in. The volunteers will be integrated with a multileveled, multidisciplinary and interactive work structure and will be encouraged to take Creative Initiative involving routine but also various tasks with complementary value. 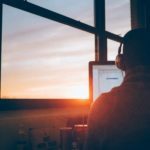 Support and administrative activities, where the volunteers will assist in the progress of the regular schedule and activities of the specific department. * assist in organizing campaigns and workshops to equip children, their families/careers and societies at large with knowledge and tools to prevent and report sexual violence against children, thereby raising awareness of its extent. * organizing international campaigns/conferences together with the staff about -projects that aim at raising awareness on the needs of Children on the Move, to respond to this phenomenon at EU level and throughout Europe. Participate in the Children Rights Convention (CRC) Clubs, educational programs in the schools located in Nicosia. The aim of these activities is to develop awareness on children rights topics with teenagers and children. The program is divided into two parts: the first is focused on education sessions about children rights and topics connected to sexual, physical and moral abuses, gender based violence, discrimination, welfare, and peace. 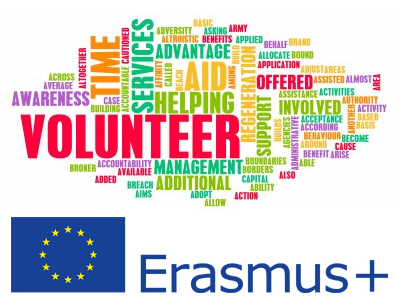 Volunteer Projects is a project co-financed by the Erasmus + Programme of the European Commission.